Dreaming of a hard-working country life? 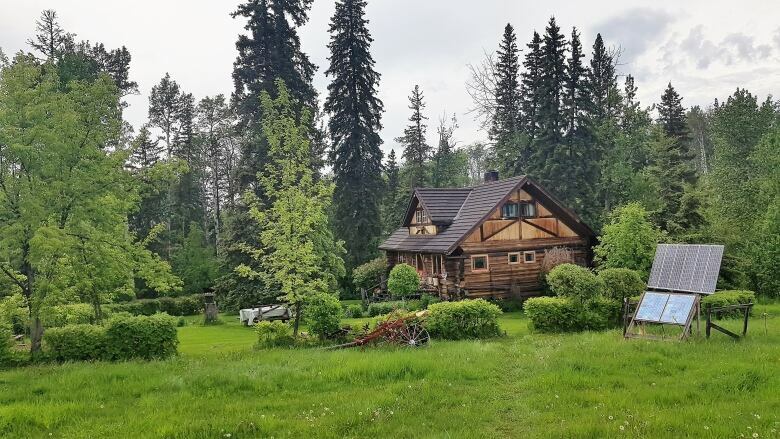 A sprawling off-the-grid acreage nestled in the forest on the edge of the Alberta-B.C. border could be the labour of love you're looking for. Tim and Linda Ewert, founders of Wildwood Farm, are inviting families to come live on their property this summer. Through a residency program, the Ewerts hope to build a farming cooperative and share their way of life with the next generation. "We would like to be able retire in place here and just sort of slow down the amount of work we do and turn it over to others," Tim Ewert, 70, said in an interview with CBC Radio's Edmonton AM. "In fact, we do have a human burial ground established on the farm, so I guess we would like to remain here forever." Their adult children love the farm but didn't want to stay, he said. That's how the idea for a residency program took root. 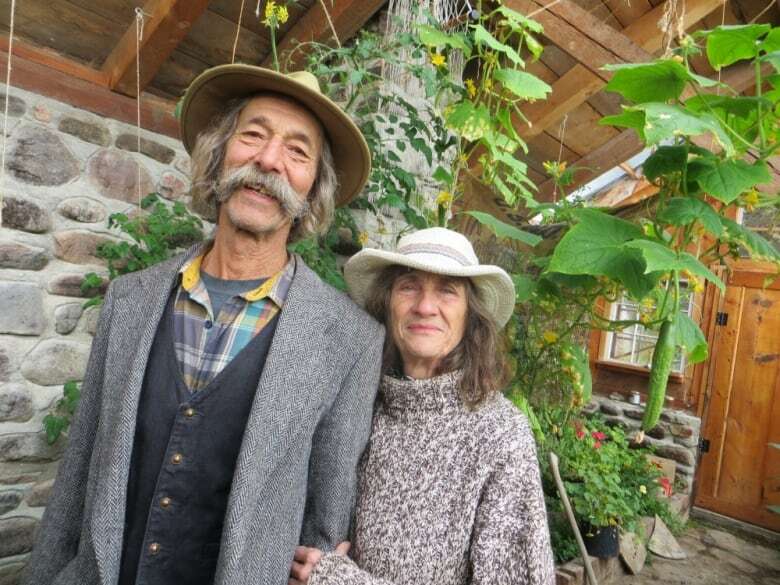 "We are hoping to attract some enthusiastic people who are interested in a sustainable way of living and farming, and who would like to do that in a cooperative setting," Ewert said. "We're hoping to have kind of a core group established this summer and then we will turn the ownership of the farm over to these people." Ewert said he and Linda moved onto the property near Pouce Coupe, B.C., in 1974. After so many decades working the land with little help, they would like to see it become home to a thriving "horse-powered farming community," Ewert said. And the 160-acre mixed farm in northeastern B.C. is indeed horse-powered. They have forsaken most conventional farming machinery and instead rely on animals and solar energy to keep things moving. When their four hulking draft horses aren't grazing the field, they're pulling the plow, felling trees and helping generate power by cranking the gears of a specialized generator behind the grain mill. There are pigs and chickens, a cluster of barns, outbuildings, solar-powered greenhouses and a stout log house lined by lush vegetable gardens. They take pride in their organic farming practices, Ewert said. "We were looking for a piece of untouched land in a natural place and we found this piece of Crown land that was available for homesteading," he said. "So we took up the agricultural wreath and eventually got the deed to the farm and we've been here happily for a long time since." Those looking to buy a stake in the operation must enlist in a three-month residency program, Ewert said. Farmhands accepted into the program will work long days sowing crops, foraging in the forest, tending livestock, milking cows, canning, cooking and making hay. Dairy chores and livestock feeding begin at 7 a.m. Supper will be served in the main house at 7 p.m. There will be a fee of $1,500 to participate in the residency to cover the cost of additional supplies and food, but those who prove their worth will be given an opportunity to stay and buy-in, Ewart said. The application deadline is Jan 31. February will be dedicated to interviews and farm visits for prospective residents, Ewert said. Final applicants will be selected in March. "It would allow the farm to produce closer to its maximum potential," he said. "There is just more to do here than two people that are getting older can possibly do. "We're hoping that it could serve as a model for other older farmers who would like to retire and stay on their farm."